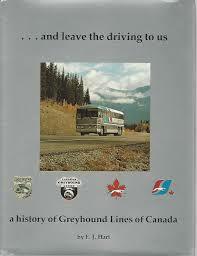 Guidelines for a Greyhound Bus Line research project are to find out how Greyhound evolved as a transport mechanism and how they impacted tourism and the general community. Paper Masters custom writes research projects and company profiles on any company. The example here is on Greyhound Bus Line and this page serves as an excellent outline for the types of information you should include and the structure of the typical research paper on a company. Come up with some issue about greyhound for instance, how it evolved as a transport mechanism and how this has an impact on general community or tourism. Why is this topic interesting to you? Given the topic, why is this important to the world of tourism and hospitality? What are you going to do in the paper? (your objectives). Who else has researched this topic? Based on what they said, can you tie it back to your topic? Can you elaborate based on the previous discussion, the specific objectives of the paper? How does it support your assumptions or not support? (It is ok to be proven wrong - you don’t have to prove everything). What did you find from this paper/work on this paper? How did it matter to business in general? can it help policy or market? Summarize what you did in the paper in a nice paragraph. General Motors - General Motors research papers discuss whether GM is a socially responsible business or whether GM demonstrates ethical leadership. Paper Masters writes custom research papers on The Greyhound Bus Line and how the bus line has had an impact on the general community and tourism.